Annotation: Often known as The Macabre Cycle, Lovecraft's earliest works of short fiction established the concepts and framework for the celebrated Cthulhu Mythos and earned him a position of authority in the Weird Fiction genre. 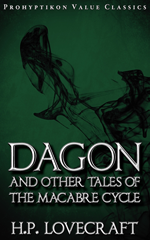 In the feature story Dagon, a prisoner of war escapes his captors only to be shipwrecked on a strange, unnatural island. In search of basic sustenance, the man comes across an ominous, out-of-place monolith, depicting in strange hieroglyphics horrors and possibilities of a monstrous deep-sea civilization that he dares not consider. 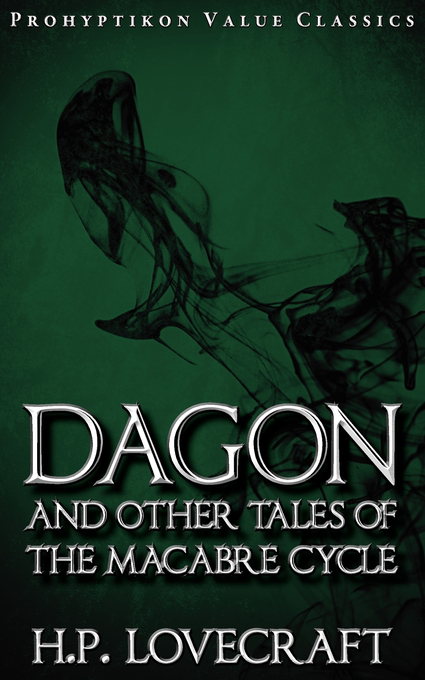 Though he manages to escape and find rescue, he does not return to humanity alone... Also included are The Alchemist, Beyond the Wall of Sleep, The Transition of Juan Romero, Nyarlathotep, and twelve more terrifying tales of the macabre.